Dr. Katie grew up in Jackson, NJ and traveled to Virginia and Georgia to receive schooling, and now has returned home to serve Ocean County. 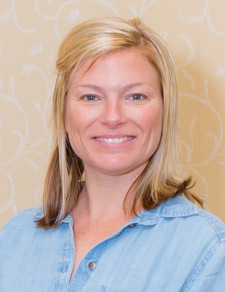 Upon receiving her Bachelors of Science in Speech Communication from James Madison University in Harrisonburg, VA in 1999, she received her Massage Therapy Certification from the Cayce/Reilly School of Massotherapy in Virginia Beach, VA in 2002. There she learned a wealth of holistic health modalities, including osteopathic manipulation techniques, soft tissue release, pregnancy care, sports injury rehab, body-mind-spirit connection, home remedies and hydrotherapy.